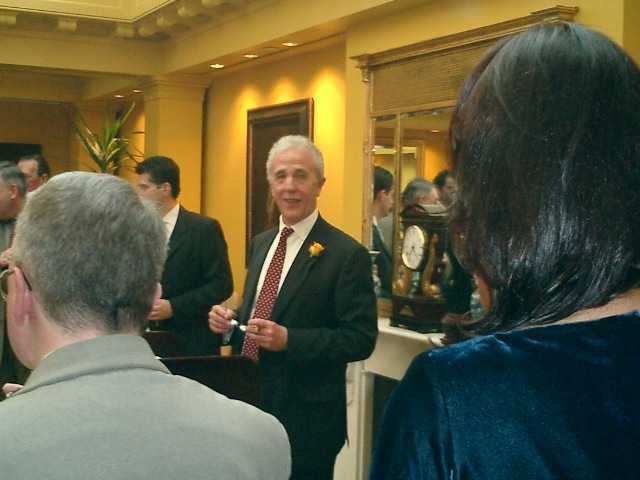 The long awaited Cohiba Siglo VI was finally launched at an excellent evening organised by the official UK importers of Havana cigars, Hunters & Frankau. 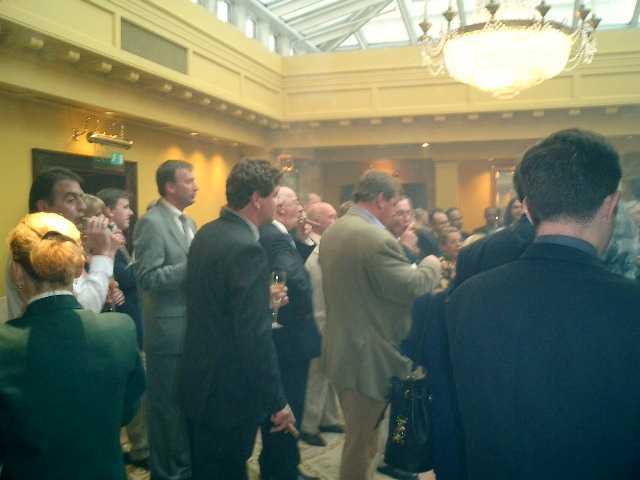 It was a pleasure to be attending this trade only cigar tasting and launch evening at the cigar friendly Lanesborough Hotel on Hyde Park Corner in the centre of London. 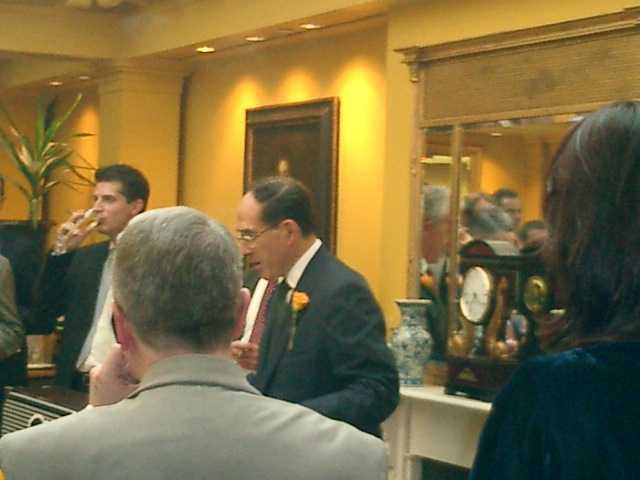 We were treated to a Cuban band, champagne, Cohiba Pantellas and of course the new Cohiba Siglo VI. There has been much talk about what kind of bands the Siglo VI will have and following extensive discussion with Simon Chase of Hunters & Frankau, I can confirm that some of the early made Siglo VI had the original Cohiba band, whilst subsequent production will only have the new Cohiba band which is similar to the Cohiba Seleccion Reserva. Eventually, all Cohibas will have the Seleccion Reserva type band, I understand. Similar to the Partagas Serie D No. 3 Limited Edition Maduro which were originally released with the colourful Partagas band and subsequently with the simple red Partagas band, I believe the early Siglo VI with the old Cohiba band may acquire some curiosity value. The Cohiba Siglo VI is a welcome addition to the Cohiba range and already proving extremely popular. Available in singles and full cabinets and of course we offer guaranteed safe shipping anywhere and everywhere in the world. Thanks to our friends at Hunters & Frankau for all their support and for their very kind invitation to the launch party. 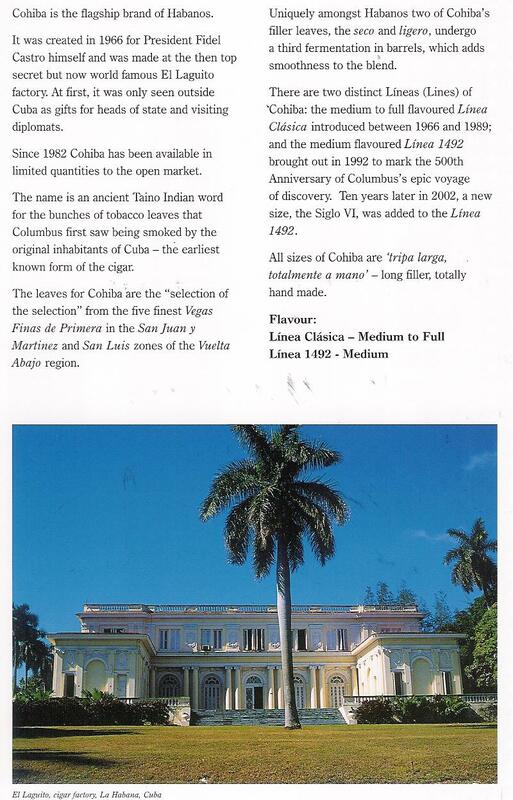 I hope you enjoy reading the following details about the Cohiba brand. The Siglo VI is the first size to be added to Cohiba's standard range since the world launch of the Siglo cigars in November 1993 at Claridge's in London. Siglo VI is the first Cohiba size to be dressed with the brand's newly designed cigar band, which features the brand name embossed in gold foil above the words 'Habana Cuba ' . The new bands will be introduced progressively to all Cohiba sizes over the next year or so . As with all sizes in the Siglo range, Siglo VI is presented in a Cabinet Selection Slide Lid Box containing 25 cigars . 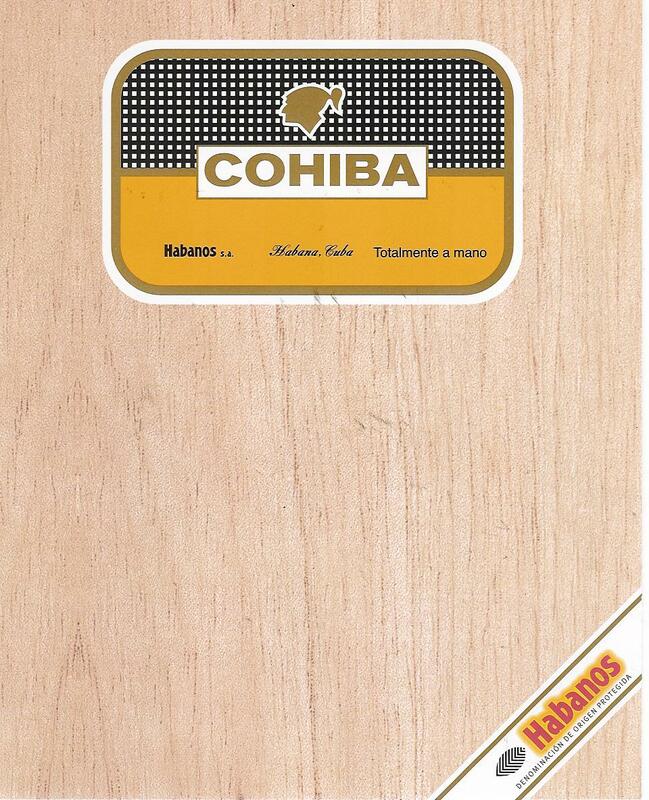 The box also incorporates some new design features such as the repositioning of the logo in the centre at the top of the lid, which will be added to all Cohiba packs over time . Boxes of 10 cigars and gift packs containing 3 cigars are pl anne d for shipment later in the year . The Siglo range, or Linea 1492 to give it its correct title, was first announced at a reception at the Captain General's Palace in Havana on 4th November 1992, which took place during a Festival held to celebrate the 500th Anniversary of the discovery of the New World by Christopher Columbus . The Linea 1492 consisting of five sizes, named Siglo I, II, III, IV and V, was expressly introduced to mark Columbus's 500th Anniversary and each Siglo, which means 'Century', commemorates one the five subsequent centuries . The five new sizes were added to the six that already existed, the Lanceros, Coronas Especial, Panetelas, Esplendidos, Robustos and Exquisitos, which are known as the Linea Clasica, bringing the total number of Cohiba's standard sizes up to eleven . 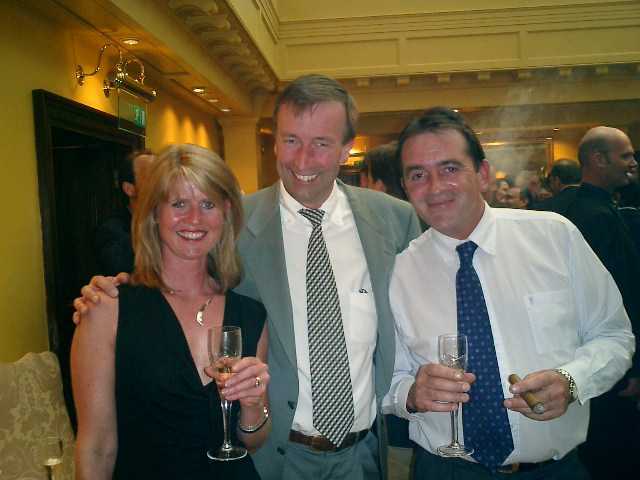 A full year passed before the Siglo sizes were available to buy which followed the London launch dinner at Claridges on 11th November 1993 . Today the sales of the Siglo sizes account for 46% of all Cohiba sales in the UK. 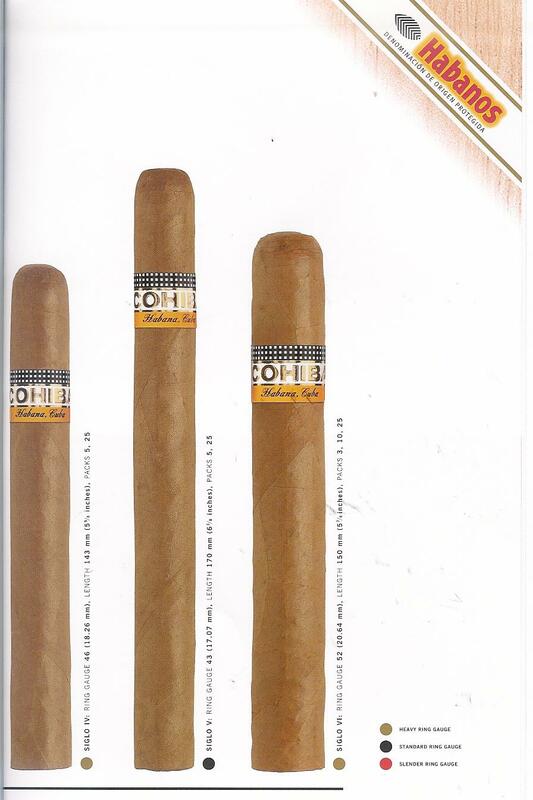 The Cohiba Siglo VI was announced by Habanos S . A . , the Havana-based company responsible for the worldwide distribution of Havana cigars, and first shown at the C anne s Tax Free Symposium in October 2002 . 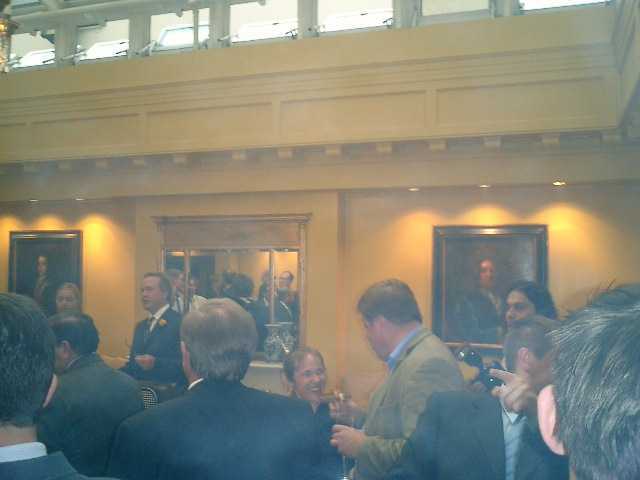 At this stage the cigars were presented with the current Cohiba band . At the same time a special limited edition of 500 humidors known as the 'X Anniversary Linea 1492 Humidor' was launched for sale through the worldwide network of La Casa del Habano cigar shops . These contain quantities of every Linea 1492 size including the Siglo VI and each cigar carries a special X Anniversary band . During the early months of 2003 the Cuban cigar industry started production of the standard Siglo VI and added the finishing touches to the packaging . However before the industry had made its first delivery to Habanos S.A. , cigars purporting to be Cohiba Siglo VIs started to appear in various markets around the world including Hong Kong , Switzerland and the United Kingdom . In early May Habanos S . A was forced to post a message on its website stating categorically that these cigars were fakes . 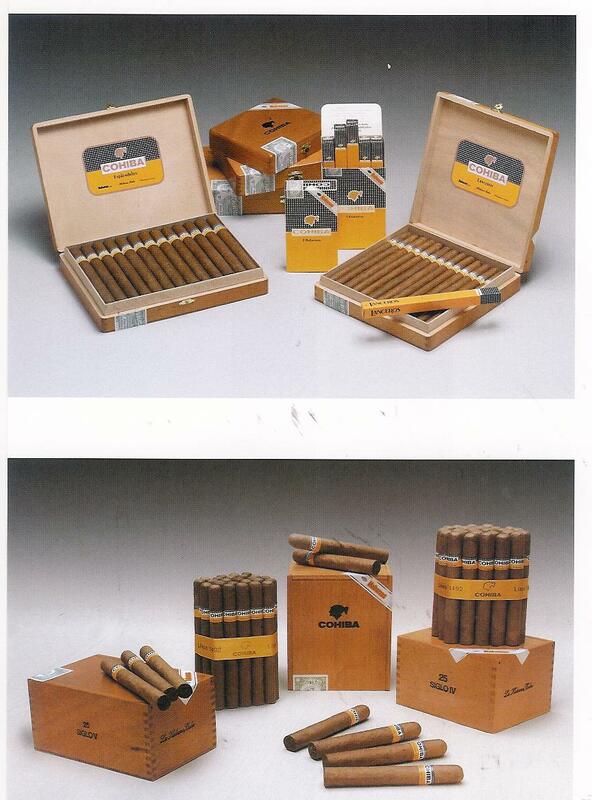 The first shipments from Cuba of genuine Siglo VIs took place at the end of May 2003 . 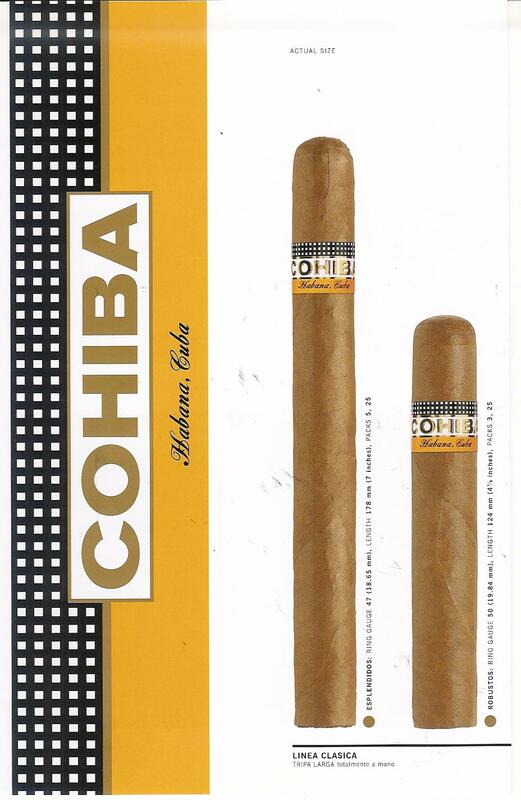 Cohiba was founded in 1966 and has since established itself as the flagship brand of Havana cigars renowned throughout the world for its unique taste and quality . It owes its origin to an exceptional cigar roller named Eduardo Rivera, who worked at the La Corona factory . For his own consumption Rivera devised a particular long, thin vitola or size of cigar, distinguished by a twist of leaf on its cap, that he filled with a special blend of tobaccos . He would smoke them with his friends one of whom was a man named Bienvenido Perez, nicknamed 'Chicho', who happened to be Fidel Castro's bodyguard . Chicho's boss liked Rivera's cigars so much that that he decided to set him up with a team of five expert rollers in a vacant mansion in a discreet suburb of Havana called El Laguito (the little lake) . Attempts on Castro's life were commonplace at that time so the new factory was subject to the highest possible security . Shortly afterwards on the advice of Castro's close confidante, Celia Sanchez, El Laguito became the first school for women cigar rollers . Today the vast majority of cigars made at El Laguito are still crafted by women and since 1994 it has been managed by Em ilia Tamayo, the first woman ever to be appointed as the Director of a Havana factory . 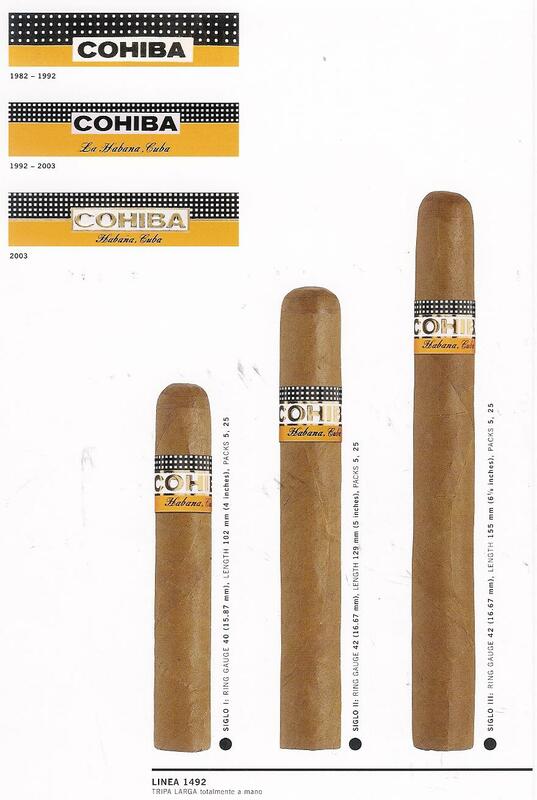 Celia Sanchez also thought of the name Cohiba . It is the ancient Taino Indian word for the bunches of tobacco leaves that Columbus first saw being smoked by the original inhabitants of Cuba , so it is perhaps the first name for a cigar . In the early days Cohiba were reserved for the President and were only seen outside Cuba as gifts for foreign dignitaries . Then in 1982, to coincide with the World Cup held that year in Spain it was decided to launch three sizes - the Lancero, the Coronas Especial and the Panetela - to the public . In 1989 three more sizes were added to complete the Linea Clasica . These were the Esplendido, Robusto and the Exquisito . In 1992 the Linea 1492 was announced and finally, in 2002, the Siglo VI was introduced . It is said that selection is the key to the production of the finest cigars . Cohiba benefits from the "selection of the selection" as Em ilia Tamayo puts it, the pick of the crop from the five finest Vegas Finas de Primera (First Class Fields) in the San Luis and San Juan y Martinez zones of the Vuelta Abajo tobacco region . Furthermore, uniquely amongst Havana brands two of the filler leaves for Cohiba, the seco and ligero, undergo a third fermentation in barrels, which adds smoothness to the blend . 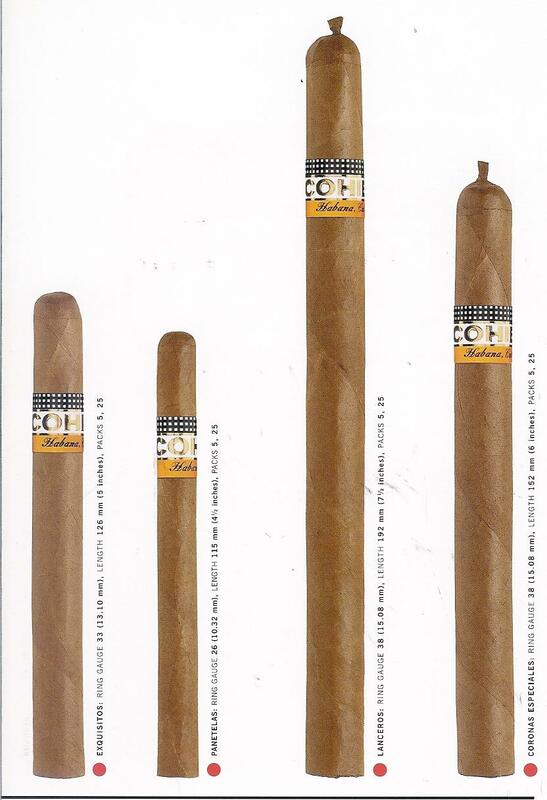 Today, 37 years after its birth in post-revolution Cuba , Cohiba is firmly established . It ranks third in sales on the UK domestic market and is the second most important brand in value . However its success is not measured by sales statistics, instead it is seen in Havana as the standard bearer for quality and as such there will never be enough produced to satisfy the demands of discerning smokers .